The heart is connected to the field of nonlocal consciousness. Nonlocal consciousness is the subtle level of our consciousness. Our real consciousness is behind the ego at the level of Cosmic Consciousness. This consciousness is who we really are. 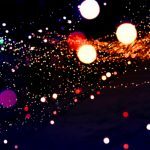 Therefore, the heart is aware of the subconscious material patterned in our brain circuitry from old beliefs arising from earlier experiences, traumas, and societal conditioning. These patterns often cause us to habitually react to our environment in negative or non-productive ways. Our negative behavior patterns resonate with negative outcomes. And, though we are sometimes aware that our actions are self-fulfilling, we feel doomed as we helplessly attempt to break the brain-circuit patterns that lead to these unfruitful outcomes. Fortunately, the heart is aware of these negative memory patterns. For this reason, we have the possibility of re-routing these circuits by overlaying them with positive emotional frequencies and establishing/shifting these old patterns. 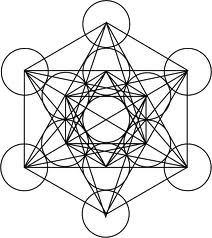 The geometry of Metatron’s Cube (figure 1) provides a template for methodically uncovering negative brain-circuit patterns. It also provides the frequencies needed to change these patterns into positive ones. Figure 1. 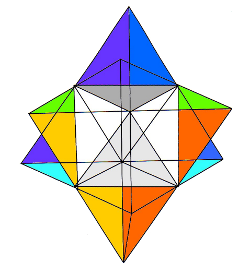 Metatron’s Cube – the twin interlaced tetrahedrons. By mapping out the emotional qualities associated with each chakra and their organ relationships, we have a means for identifying both the subconscious content holding us in negative patterns as well as the positive aspects required to shift our perspective (see figure 2). When we change our perspective, we change our reality. Figure 2. Twin tetrahedrons representing chakra emotional qualities. When we feel emotionally out of balance we can use Metatron’s Cube as a means to connect to the heart’s innate knowing. 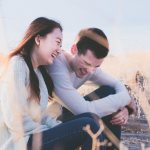 The process allows us to do a ‘session’ on ourselves as well for and with someone else. After identifying the emotional discomfort arising from negative beliefs and outcomes, the ‘heart-mediator’ asks the ‘recipient’ to pick a number from a list in order to identify the specific chakra that is over-activated. For some, it is not different from picking a playing card out of a deck of cards. Others experience an intuitive sense of what number is involved. I have found that numbers come to me as mental pictures, like playing cards. At other times, I visualize a row of numbers and wait to see if one stands out amongst the others. This is an individual process. The heart is imaginative and creative. How it communicates and tells us which number to pick is ever changing. Picking numbers related to our inner psychic/emotional state is somewhat similar to The I-Ching. Carl Jung described the system of The I-Ching as a method devised by which an inner state can be represented by an outer one; in this case a written statement about our subconscious emotional state, which is assigned to a number. Like The I-Ching, the only criterion of validity of the method is the observer’s opinion that the text of the statements chosen reflects a true rendering of their psychic/emotional condition. 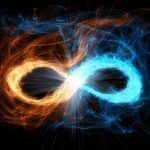 At this point, the ‘recipient’ is consciously aware of the chakra that is out of balance and more specifically, the underlying emotion causing the energetic disruption. The next step is to obtain more information about the aspect of the chakra that is expressing negative emotions. This is the negative conditioned belief or perspective that has habitually patterned itself in the mind-brain. We also need to identify the positive emotion or belief, which will be used to replace the negative pattern belief. By now, the ‘recipient’ is beginning to see the underlying issue. In the first example above, after the ‘recipient’ addressed her fear of the unknown, they chose the number related to the negative statement: “I exploit nature and her natural resources.” The positive statement she chose was: “I welcome and embrace change.” I share this because I know the reader is searching for continuity between these two statements. It is this need for a rational explanation that shakes the core of the compulsive mind-brain circuits. Now, the ‘recipient’ is not only seeing the underlying issue, but they are also beginning to understand and accept it. This is a powerful process because it allows communication between the heart and the brain, which allows the ‘recipient’ to not only see the connections but to feel and understand the connections as well. There are organs associated with most of the chakras. The organs reflect various and specific aspects of the chakra emotions. In the case of the root chakra, the associated organ, or meridian system, is the large intestines. In the example of the first ‘recipient,’ they chose the large intestines statement: “I know when to move on.” A story is emerging from the depths of her unconscious. In order to re-wire the negative circuits, it is generally necessary to identify the origin of the negative belief. This is the exciting part, because both ‘heart-mediator’ and ‘recipient’ know they are embarking on a journey that will lead them to deeply buried subconscious material. The process is designed to lead the ‘recipient’ to specific areas of their past. The heart may lead them to a specific month when they were in the womb or to the birth process itself. Others may need to identify a specific age, person involved, and/or an event. Others still, may be lead to a past life trauma or to a negative situation their mind-brain has repressed. The ‘recipient’ now has a picture of how their emotional responses and behaviors have been conditioned by past events. The Scalar Heart ConnectionTM process provides space for the ‘recipient’ to reflect on what their heart has illuminated to conscious awareness. Our sample ‘recipient’ has figured out that she becomes paralyzed when she gets caught up in her head, trying to figure out the pieces before taking action. She does this, not in a healthy and precautionary way, but because she is afraid of the unknown. 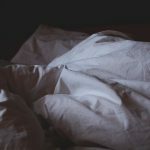 She realizes that she compulsively tries to make sure whatever she does is done right and is completely thought out ahead of time in order to be safe. She is afraid to be wrong, so she remains frozen as life goes on around her. Just in case more information is required, the process provides an opportunity to ask the heart if we need something more. Often, the heart will want to reinforce the new positive intention by having the subject listen to a Quantum Healing Code™. When this comes up, we ask the heart to choose which one they need. Generally, the code that the person chooses from the list is the code related to the chakra found to be out of balance, but not always. It can also be the case that they need another code or frequency. Recall how the frequencies and their harmonics came together in ways that produced the triangles found in the geometry of Metatron’s Cube. We might view emotional imbalance as creating distortions in the geometry of ego-consciousness, which manifest as disruptions in heart patterns. This distortion, which is really only a question of perspective, causes us to lose coherence with nonlocal consciousness. 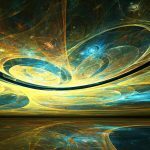 Therefore, when we listen to a specific Quantum Healing Code™ within the context of our newly created positive statement, we are reformatting the geometry of inner-connection. This brings us back to the image of the mandala. The mandala reminds us that our experiences help bring us from the outer edges of ego-consciousness back to the center of the mandala, to the center of wholeness, unity and equilibrium. 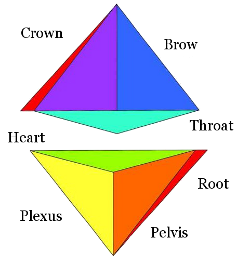 Equilibrium is the white light center of the Twin-Tetrahedron, where the double-heart becomes one heart. At this stage, we automatically resonate with the intentions of non-local Cosmic Consciousness.